Jack White: Enigmatic showman, a creative dynamo and cult of personality. All in less than a decade. Earlier this month, Brendan Benson gave an interview in which he said that while he loves being a Raconteur, he’s upset that people always referred to the band as “Jack White and his band.” While Benson is an infinitely talented singer and songwriter, when it comes to Jack White, it’s hard to feel bad for the rest of the Raconteurs. Or Meg White and the remaining trio of Dead Weather, for that matter. It may just be that Jack White literally is a musical gift from god. Or, it could be he’s an enigmatic showman, a creative dynamo, and cult of personality who demands full attention. But whatever the reason may be, Jack White is this decade’s be all, end all rock god. On an entirely superficial level, White is the kind of rock star critics and fans of the new millennium need. There’s an air of mystery to him (the White Stripes’ tri-force color palette, early questions regarding his and Meg’s relationship, and rumors he changed his name to Three Quid). But at the same time, there’s a complete openness and a level of confrontation he effortlessly puts out. He’s always made it crystal clear that for him, nothing matters but the music. “It’s the same thing as asking Michelangelo, ‘What kind of shoes do you wear?’…In the end, it doesn’t really matter … the only thing that’s going to be left is our records and photos,” White said in an April 2006 interview. Of course, he’s also allowed himself to grow creatively. 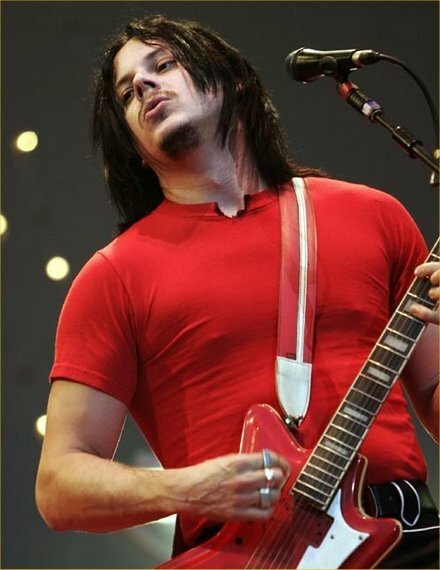 From our first widespread glimpse of him on the White Stripes’ 2000 sophomore album, De Stijl, to jamming with other rock gods on this year’s It Might Get Loud (even playing Elvis Presley in 2007’s Walk Hard), White has transformed himself into an increasingly growing presence without ever losing his core beliefs and manners. Each year has only seen his public aura brighten, but he’s never lost step with himself. White has always considered himself a bluesman, and no matter how loud and distorted or bright and poppy the result, he bends that genre born of sorrow, always creating a palpable end that we can follow him toward eternally. And that dedication is a cornerstone of our relationship with White and his art and mystique. The White Stripes self-titled album came out in 1999, a time when rap-rock ruled the charts and radio. White’s said countless times he still finds it to be the most raw album he’s ever made, and while it wasn’t as groundbreaking as 2001’s White Blood Cells, it was an introduction to the stripped down rock White would slam against music lovers worldwide for years to come. It was a shot in the arm to a great many people, a reminder of the real power that rock and roll music can have before it was watered down and diluted by outside influences that bore away at its speed, its stylish stealth, and its evocative powers. White sought to give those qualities power again. What’s intriguing, however, is that White has never been anti- anything. Call him eccentric or blame the Detroit/Midwest nose to the grindstone living, but his music has always been about doing his own thing and doing it well. But at the same time, others have seen what he has done and honed in, too. Whether it’s another power rock duo like The Black Keys or instilling his own spin on Loretta Lynn’s Van Lear Rose, White has left his mark on other musicians. You might even give him some glass ceiling breaking credit in regards to the rise of bands like Band of Horses and beyond. Of course, White has never hidden his love and influence from acts like Robert Johnson to MC5. For White, music is communal and everything is one big song to sing. No other artist of this decade, and few others in any other time for that matter, has been as musically involved as Jack White. But more than just being in three bands (which is a fest in and of itself), the miraculous part is how each band is sonically similar and completely different at the same time, with White acting as the common thread each time. The White Stripes are the garage band of the White trinity. Their rock-blues-punk fusion is the most simplistic sound, one that is generated by White’s fury and prowess and Meg’s child-like drum banging. On the other hand, The Raconteurs is the all-boy blues/arena rock band. While the White Stripes made White famous, The Raconteurs were his chance to create bigger and more complex, often bombastic, rock anthems, all of which were fueled by an old-school level of musicianship and testosterone. And that big rock bug bit White hard, as his next musical project took the music nerd experimentation of the White Stripes and that grandiose sound of The Raconteurs and brought to us the Dead Weather. While White was left in the back as the drummer and Alison Mosshart took over lead vocals, the band’s dense, dark and sexual sound that sounded like it was blues played by the devil in heat was clearly the brain child of White. Musical growth has the often negative inference of leaving behind your roots. But White’s proven to be a musical hoarder, pulling and closely guarding every bit of influence he’s gathered in his life. Each new project is fresh and lively only because it’s made of the brightest and most shiny parts of his life and career. 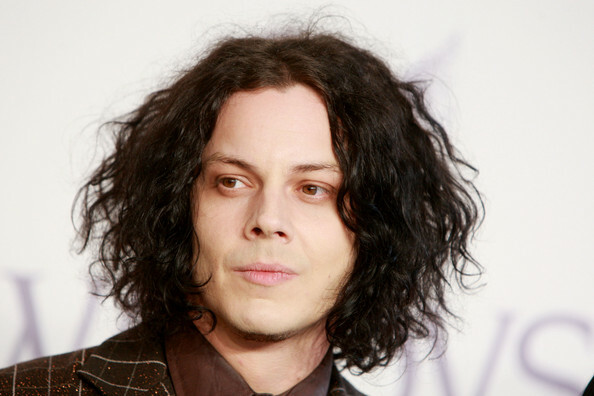 The 2000s was arguably just the beginning for Jack White. Whether 2010 and beyond means more new bands, production work, new acting gigs, or anything else White earns for himself, there’s one thing that will always remain with him no matter how big he gets: a level of simplicity. As a young man, he was an upholsterer. He’s taken the same level of pride in weaving the various fabrics and materials as he has the threads of the past, present, and future, in addition to the true materials and makings of rock music, into everything he does. As we stand at the top of the decade, Jack White, we salute you.